Maria Choban - Wanna Dance? For more information, see MMM. Hough has made an award-winning recording of all Saint-Saëns concertos under the Hyperion label, and played the Egyptian Concerto with the Oregon Symphony in 2001. So it was perhaps no wonder that he would again give an impeccable performance of the Saint-Saëns with the orchestra once again. Right off the top, Hough fashioned immaculate runs that sparkled with joy and, augmented by the orchestra, created surging phrases that glowed with warmth. In the second movement, he accented the Nubian love song with voicing that sounded as if a woodwind was playing with him. He tore up the keyboard in the last movement, cruising through tricky rhythms and polishing the filigree with élan. After finishing the piece, Hough was recalled back to the stage several times by the audience, and he then transfixed everyone with a simple, quiet encore, Jules Massenet's "Crépuscule ("Twilight"). The orchestra under Merlot’s direction gave Ravel’s “La Valse” a luminous performance with outstanding attention to dynamics and nuances, such as accelerating quickly and slowing down straight away, to give the music a fresh spontaneous feeling. Wonderful glissandos from the strings, gliding woodwinds, cranking contra-bassoon (Evan Kuhlmann), and snappy sforzandos were expressed with a genuine spirit de corps. The instrumentalists kept a keen eye on Morlot, who, conducting the piece from memory, got so caught up in the music making that he dropped his baton and ended up using his elbows, shoulders, and head to accentuate the swirl of the waltz into a riotous finale. Debussy’s “Cortége air de danse” from his one-act cantata “L’enfant prodigue” (“The Prodigal Son”) received a marvelously intimate performance by the orchestra. Delightfully languid phrasing by principal flutist Martha Long highlighted the delicate nature of the music, making many listeners wish that the piece wouldn’t end so quickly. Chausson’s Symphony in B-flat Major opened somberly with Wagnerian overtones that were terrifically expressed by the orchestra. After the orchestra broke into a spring-like melody, it seemed that we were clearly taken into the heart of French Romanticism, but the beautiful sonorities of second movement, “Très lent,” were sleep inducing and caused many heads in the audience to bow before being awakened by a glorious brass choir and the timpani. Principal clarinetist James Shields principal trombonist Daniel Cloutier, and principal trumpeter Jeffrey Work deserved praise for their evocative playing in the final movement, which ended in a stately and subdued way that was anticlimactic. It was fun to hear the little snippet of melody that Dvořák may have lifted directly into his Ninth Symphony (Morlot pointed that out in his opening remarks). But Chausson’s Symphony made me wonder about the direction of the piece – where did the music intend to go? Outside of the Ravel, Morlot conducted with an economical yet evocative style that seemed to connect well with the orchestra and the audience. It would be terrific to get him back with a program that would go beyond the boundaries of his homeland (he was born in Lyon). PS: After exchanging email with Jim Fullan at the Oregon Symphony, I found out that name of the encore that Hough played. So I've corrected the review to reflect that. PSU Opera superb in world premiere of "The Place Where You Started"
It is a rare day when a college music department presents the world premiere of an opera, and even rarer still that such a production would be timely, relevant, and superbly done, but Portland State University’s opera program brought it all to fruition with its performance of “The Place Where You Started” on Friday, November 18th at the Lincoln Hall Studio Theater. Written by Mark Lanz Weiser with a libretto by Amy Punt, “The Place Where You Started” deftly handled themes that dealt with love, loss, illegal aliens, and fear. Delivered by six singers and a pianist, the music subtly blended dissonance with harmonic lines and worked naturally with the outstanding stage directions of Kristine McIntyre. The story begins with Meredith, a screenwriter who lives with her boyfriend Steve, a computer programmer. While Meredith struggles to write a romantic script for a vapid vampire movie, she gets pressured by her agent Samantha to write compelling dialog as quickly as possible to meet the studio deadline. Between bouts of writer’s block, Meredith meets her gardener Macario, learns about gardening and finds that they both have an abiding interest in literature. She also finds out that Marcario is an illegal alien from La Paz, Bolivia where he had been a professor. In the meantime, Brianne and Brendan, friends of Meredith and Steve, think that Meredith’s interest in Macario has become an affair. Brendan admonishes Steve to report Marcario to the immigration authorities, and because he fears losing Meredith, Steve makes the phone that dooms Macario to deportation. Hannah Consenz sang the role of Meredith with terrific conviction, bringing the audience into her character’s conflicted world. Darian Hutchinson created a poignant and understanding Macario. Grace’s Skinner played the self-assured, cell-phone wielding Samantha to the hilt. Alexander Trull’s Steve had a spot-on shallow geekiness. Saori Erickson marvelously conveyed the overbearing parental concerns of Brianne. Adam Ramaley upped the ante as Brendan. Both Erickson and Ramaley also excelled as movie actors and as immigration agents. 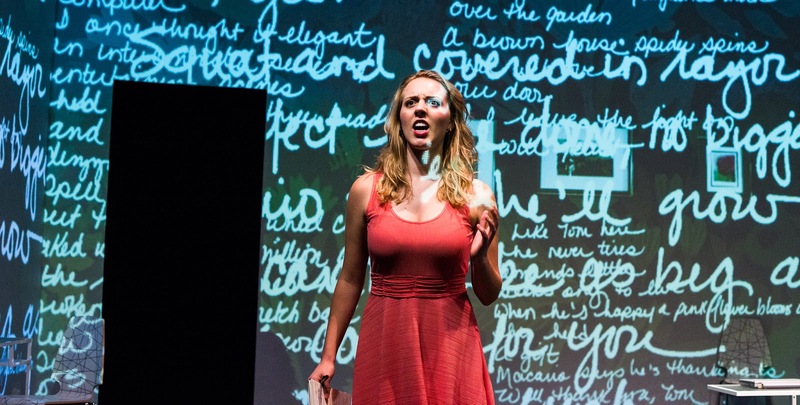 The intimate confines of PSU's studio theater worked exceptionally well for the singers. Only Trull’s voice sounded strained. All of the singers found their pitches despite relatively few noticeable leading notes. The piano was expertly played by Chuck Dillard, who was also the Music Director of the production. Mike Gamble’s evocative projections enhanced the production with excellent visual cues, such as portions of the movie script that Meredith was working on. One of McIntyre’s best directions involved Meredith typing and mouthing the words of her characters (Lucinda/ Erickson and Roland/Ramaley) as they sang them. According to the program notes by PSU Opera’s director, Christine Meadows, “The Place Where You Started” was written with Rossini-like speed by Weiser. Weiser, a member of the music faculty at the University of southern California’s Thornton School of Music, wrote the opera in a few months, somehow finding time to collaborate his efforts with those of librettist Amy Punt, a playwright and essayist who lives in Los Angeles. The libretto is not dry. It moves all over the place, incorporating humor, poetic language as well as harsh accusations to move the story. The story speaks incredibly well to our time, and our current political scene in which fear of people from the "wrong" countries is on a steep rise. The opera ends on a hopeful note with Meredith finding Marcario somewhere south of the border. The ending made me wonder if the story would have more impact, if Meredith and Marcario didn’t meet again. 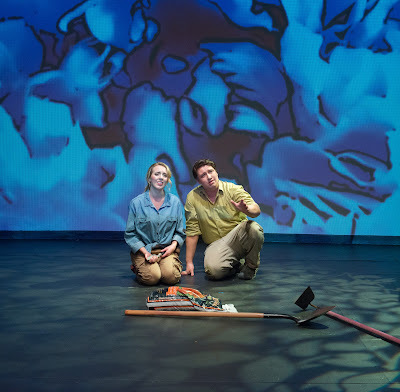 In any case, PSU Opera is taking its production of “The Place Where You Started” to China, where it will be performed at Soochow University and the Suzhou University of Science and Technology. Kudos to Meadows and all involved in this effort. Hopefully, those performances will serve as a springboard for more productions of this remarkable opera. First, a disclaimer: I am not an instrumentalist unless, as one of my teachers reminded me, my voice is an instrument. But I've played piano and organ, and even cello. In college, I had to take private violin lessons because the required string methods classes clashed with my practice teaching schedule. (I have to admit that that semester of violin lessons taught me more about correct intonation than I'd ever learned from voice lessons and from singing in various choirs from the age of nine.) Yet I love listening to instruments play, in both solo and ensemble settings. In more than choir I have sung in, the director has admonished us, especially when we were performing a joyous work, to let the audience know by our facial expressions and even bodily movements the joy we were experiencing as singers of great music. 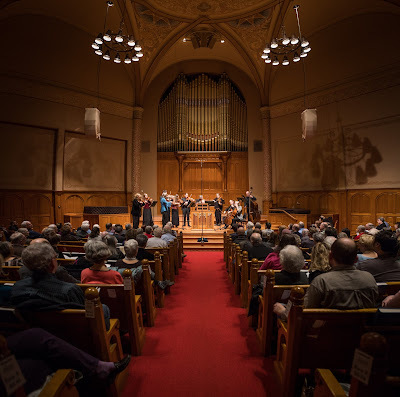 On Friday (November 18) at First Baptist Church, I watched as the ensemble players in the Portland Baroque Orchestra quite naturally, it seemed, enjoyed the music they were playing. It made an impact upon me, and I daresay upon the audience who heard such gorgeous music as we did. The PBO is anything but a dour group of professionals. Alexander Weimann, the guest conductor and soloist, is an unabashed professional and played most everything flawlessly in the two Handel organ concerti and in another concerto by C.P.E. Bach. His continuo playing in a Concerto for Bassoon by Capel Bond, another 18th century composer, was first-rate. Weimann also shone brightly in one of Mozart's "Epistle" sonatas for organ and strings and in a sinfonia to one of J. S. Bach's cantatas. The point I wish to make here is that Weimann so obviously enjoys playing this music and bringing it to life for the audience. He pays close attention to it all, and from my vantage-point in the balcony directly above him, I could not help but notice his facial expressions as he got involved with the music. From time to time, he would raise one hand to conduct the ensemble players, sometimes both hands if not at the keyboard – no easy feat, believe me. It was pertinent that the program opened and closed with Handel organ concertos. It opened with Op. 4, No. 3, HWV 291. Movements from these concertos were often played in between portions of Handel's oratorios or operas. And often entire concertos were offered in that context. One can imagine an 18th century London audience, hearing a premier performance of Handel's latest work, and being treated to a little gem of an organ concerto now and then. It must have made for a long evening, but we have to realize that this was long before the days of electronic reproduction and broadcasting. As Weimann notes in the program, Handel was "reanimating a practice he had used in his early oratorio "Il trionfo del tempo" in 1707, during his Grand Tour to Italy. Later in London, when playing and directing his organ concerti, he had found the perfect forum to excel as composer-performer in one." No. 3 in Handel's first set of concerti is delightful in every respect. The organ is a solo instrument, rather in the manner of a first player in a group of peers, as Weimann says. It is written in the style very much like an Italian concerto grosso (a group of soloists, often referred to as concertino, pitted against a larger group, the ripieno). The listener readily saw that Handel, like most Baroque composers, freely borrowed from other works, as part of this concerto is identical with a trio sonata of Handel's. Nate Helgeson, a very tall and young bassoonist, subtly played Capel Bond's concerto. Bond was organist at St Michael and All Angels parish church, that later became Coventry Cathedral. He knew Handel's oratorios well, having directed some of them, and was clearly influenced by Handel's adept use of the bassoon's more lyrical tenor register. Weimann notes, "the galant bassoon concerto in four movements gives us a charming picture of the wider musical scene in England at the time." As Weimann notes J.S. Bach "had four genius musicians we know of amongst his children [twenty in all]." Everyday life can't have been easy." Carl Philipp Emmanuel Bach, one of his sons, came up with over fifty keyboard concertos, without always being specific about the intended instrument, be it harpsichord, pianoforte, or organ. This work features marvelous cadenzas, well executed by Weimann. The first movement is varied, full of surprises, with tricky keyboard work. There is lively dialogue between violins and organ in the third movement. Throughout are many chromatic passages with contrasting dynamics. C.P.E. 's music is decidedly in the more "Classical" genre than the Baroque and at times, the listener wonders how far the son roamed from the father! But I think Papa would be proud of how his son's music developed, though he died when his son was thirty-six. J. S. Bach's cantata BWV 35, "Geist und Seele wird verwirret" ("Spirit and Soul become confused," an interesting theological concept), was composed shortly after Bach was in the position of Kantor at Thomaskirche in Leipzig. The two parts of the cantata begin with elegant concerto movements for solo organ, woodwinds and strings. These two movements delight the ear, as do all of Bach's concertos. This particular cantata is written for solo alto voice and orchestra, with the organ prominently heard throughout. Another Handel work performed Friday, Trio Sonata Op. 2 No. 5, shares an identical Allegro movement with the organ concerto heard earlier in the program. Another part is from an aria from Handel's opera "Rinaldo." Baroque composers always borrowed from themselves (and others), so this should be no surprise. This was performed by two oboes, played by Stephen Bard and Brandon Labadie, with Helgeson returning as bassoonist, and organ. Wolfgang Amadeus Mozart once said that "The organ … is in my eyes and ears the king of all instruments." He wrote for organ, but not extensively, and what has survived to this day includes seventeen delightful sonatas that were written to provide a respite for the priest between the Kyrie and Gloria and the Gospel in introduce the Epistle reading for a Roman Catholic High Mass. Hence, their moniker "Epistle Sonatas." Weimann and two violins and bass performed one of them, in C Major, KV 336. In these sonatas the organ is not always prominent, but it is in this one and it is utterly delightful. As noted above, the program closed with the first concerto for organ and orchestra in Handel's Opus 7. In this work, there is plenty of liberty for the soloist to improvise in the first movement, a set of variations on a ground. Before this work was performed, Weimann announced that it would be in an alternate version in three movements, rather than five, as in the printed program. The first movement was a tema ed variazione (theme and variations), the second an adagio with a remarkable "walking bass," and the finale a Bourée. In Weimann's informative and witty program notes he speaks personally of his fascination since childhood with the church organ. "Its countless pipes, keys, often multiple keyboards, the pedal, sometimes more buttons and switches ... than on the flight deck of a big aircraft; the fact that it challenges the whole body and all available mental skills to master the tricky task of coordinating all limbs … clearly, my attraction to this particular instrument was initially boyish, but it still persists, and today I am very excited to share my passion with you in a program of some of the finest writing for solo organ and orchestra." I am most happy to report that Alexander Weimann delivered! Many in the audience could readily identify with Weimann's passion, including this reviewer. A nice corollary of the evening was talking with Cliff Fairley, now retired from the Bond Organ Co., the maker of the small three-rank instrument that was used in this performance. Fairley was largely responsible for its crafting and was obviously thrilled to hear his opus used as a solo instrument. He and I sing with the Bach Cantata Choir and this very organ is used as a continuo instrument, but once was featured in a performance of another Handel concerto, "The Cuckoo and the Nightingale," Opus 4, No. 13 of Handel's played by John Vergin. Post Script: As admitted above, my foray into organ playing once took me down the path of a dare to myself that I would one day play Handel's Organ Concerto, Op. 4, No. 1 in g minor. And, in my fifties, I actually accomplished it! It was a sort of gift to the organist in my parish (I am a cleric) at the time, who was celebrating his 20th anniversary in the post. I gathered together the string quartet from the local high school that included his daughter as the first violinist, and imported his son, an excellent string bass player, to form an "orchestra," really a quintet. I played the organ solo, doing reasonably well, sweating all the while and taking the tempos slower than I'd heard on recordings. But it brought me the greatest joy, so much that I hope for that kind of joy for anyone, involved in music-making or not! Yesterday, The Columbian newspaper published my preview of Stravinsky's "A Soldier's Tale," which will be performed as part of the Vancouver Symphony's chamber music series. That concert will take place on Sunday, November 20th, at 3 pm at Kiggins Theatre in downtown Vancouver (WA). Ruth Bader Ginsburg makes cameo debut in "Daughter of the Regiment"
The Baltimore Sun and The Washington Post reviewed Washington National Opera's recent production of Donizetti's "The Daughter of the Regiment" in which Supreme Court Justice and avid opera fan Ruth Bader Ginsburg played the Duchess of Krakenthorp, a small speaking role, at the Kennedy Center. Both articles have photos of RBG in period costume. 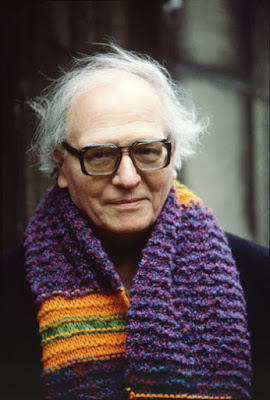 The Minneapolis Star Tribune reports that Stanislaw Skrowaczewski, Conductor Laureate of the Minnesota Orchestra is in stable condition after surgery following a stroke on Sunday. Skrowaczewski, age 93, is scheduled to lead the Dallas Symphony next weekend. He led the Oregon Symphony in concerts last November. The scene outside the Arlene Schnitzer Concert Hall on Saturday evening (November 12th) was the one of the most unusual ones that I have ever witnessed. A police vehicle filled with anti-riot police was positioned right by the front doors of the hall and loudspeakers told anti-Trump protesters to move away from the Park Blocks or they would be arrested. The air was tense, but as I entered the lobby of the concert hall, the atmosphere relaxed and brightened considerably because it was the opening night of the Portland Youth Philharmonic’s 93rd season. On the stage were 108 young and very talented instrumentalists who were busily reviewing a myriad of passages from the music that they were about to perform. I was impressed by the focus of the musicians, who were gearing up with intensity for a program of music by Wagner, Bruch, and De Sarasate, plus a world premiere of Tomáš Svoboda’s Symphony No. 2 (Op. 41). In his remarks to the audience, Music Director, David Hattner, told how a Camerata PYP successful premiere of Svoboda’s “Folk Concertino for Seven Instruments” led to the opportunity to play his Second Symphony. Svoboda, a prolific Czech-American composer whose work has received a Grammy nomination, wrote the symphony in 1963, but it had never been played because he fled his native country in 1964 to come to the United States, and that caused the premiere to be cancelled. Consisting of four movements, the Svoboda’s Second Symphony opened with some massive sonic textures that involved the entire orchestra. Periodic whams from the bass drum added to the din, which then vanished, leaving a menacing fog of sound that was punctuated by the snare drum. Delightful conversations among the woodwinds with wandering flute lines alternated with another series of loud, expansive, and tragic-sounding passages that involved the entire orchestra. The initial measures of the second movement were somber and quiet, allowing for beautiful sonorities between Concertmaster Fumika Mizuno and Assistant Concertmaster Daniel Tang. The romantic theme transferred to the flutes and oboes before being handed off to the viola (Co-Principal Samuel Zacharia). Ominous, throbbing sounds from the orchestra threatened the lovely melody that had been established, but the romantic sensibility returned and after a plaintive clarinet solo (Principal Alex Lee) closed the movement in a gentle, restful state. The third movement began with a propulsive drive that crecendoed and decrescendoed against a highly-wire line of violins. Mutterings from the brass developed into larger blasts that were followed by an extended pizzicato line from the bass violins, and the movement ended with a line that was slowly built into a huge crescendo. The fourth movement featured a lovely bassoon solo, lots of intricate phrases for the woodwinds, a gorgeous melody for the strings, a fanfare for the brass, explosive sounds from the timpani, and a brief excursion for the piano before fading quietly away. The audience responded with enthusiastic applause, not only for the outstanding performance by the orchestra, but also for Svoboda, who was sitting in the lower balcony with his wife, Jana Demartini. As Hattner suggested in his introduction, the music did seem to fluctuate between an expression of love and the fear of militarism and oppressive authority – with love surviving it all in the end. Violist Samuel Zacharia, winner of PYP’s soloist competition, gave an outstanding performance of Max Bruch’s “Romanze.” He brought nuance to the piece, playing with a sweet tone and shaping each passage with impeccable taste. The orchestra accompanied him with terrific sensibility. After intermission, the orchestra blew the listeners away with Pablo De Sarasate’s “Zigeunerweisen,” which usually features a violin soloist. But for this concert, Hattner divided up the soloist’s part so that 19 of his budding violin virtuosos had a crack at a devilish passage. Besides the fleet filigree, the musicians deftly negotiated combinations of double stops, pizzicatos with both hands, and glissandos. The exchange of the soloist’s line was handed off seamlessly with each violinist standing up quietly to play. Their performance was a flat-out foot-stomping crowd pleaser, and I think that the audience would have enjoyed hearing it a second time. The concert opened with a robust performance of the Prelude to Richard Wagner’s “Die Meistersinger von Nürnberg.” The ensemble played it with gusto, but the only problem was a balance issue caused by the fact that there were so many strings. But wow, the strings sounded terrific! Kudos again to the PYP, and the ability of young musicians to make great music. Perhaps a recording of Svoboda's symphony by them will be available in the near future. Seven principal wind players from the Oregon Symphony delivered an impressive performance of Frank Martin’s “Concerto for Seven winds and Orchestra on Monday evening (November 7) at the Arlene Schnitzer Concert Hall. They were the main attraction in a concert that also featured Hans Graf, the Conductor Laureate of the Houston Symphony, in his debut with the orchestra. Martin’s quirky piece, which some scholars have described as a blend of Stravinsky and Ravel, was placed between two Romantic constructs: Schumann’s “Overture, Scherzo, and Finale” and Beethoven’s Sixth Symphony (“Pastoral”). All three pieces were played with keen sensibility by the orchestra, but fine performances by the soloists in the Martin deserved highest praise. 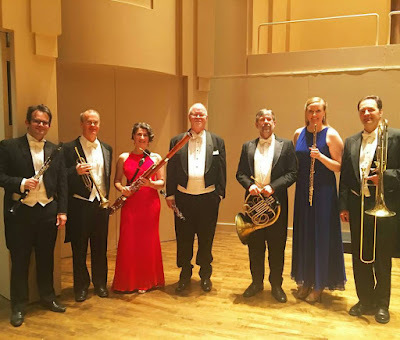 The soloists in the “Concerto for Seven Winds and Orchestra” were Martha Long, flute, Martin Hébert, oboe, James Shields, clarinet, Carin Miller Packwood, bassoon, John Cox, French horn, Jeffrey Work, trumpet, and Daniel Cloutier, trombone. They conveyed the fragmentary and percussive musings of the piece with élan. In a way, it was an elegant series of mutterings, stutterings, and sporadic utterings that came across as a conversation with the orchestra. There were no lyrical phrases to hang your hat on. The soloists expressed brief statements in pairs (for example, flute and clarinet or oboe and bassoon), trios, and other groupings. Most of the soloists deftly played at least one series of treacherously high notes that were way out of the normal range. Shields executed several ultra-smooth and soft entries. Cloutier wonderfully created the mellow and almost sad trombone line at the end of the second movement. Work delivered a lick that reminded me of a circus number. To top it all off at the end of the piece, Jonathan Greeney expertly handled a wicked timpani part. The concert began with Schumann’s “Overture, Scherzo, and Finale” which he didn’t classify as a symphony because it doesn’t have a slow movement. The orchestra deftly conveyed the ponderous opening before breaking free into lovely melody followed by a series of sweeping phrases that are dotted with rising glissandos. The third alternated smartly between a stuttering march and a gentle bucolic melody. The third was vigorously playful and ended with a strong, joyful finale. Throughout the piece, the orchestra seamlessly transitioned from smooth, elongated phrases to sudden, punchy ones that jabbed left and right, giving Schumann’s music a polished and glowing interpretation. Graf showed a somewhat restrained style as he guided the musicians through Beethoven’s Sixth Symphony. He didn’t use big round-house gestures during the famous thunderstorm movement, but one of his most overt gestures was to the bass violins to play louder towards the end of the final movement. The orchestra responded to Graf with great depth and feeling. 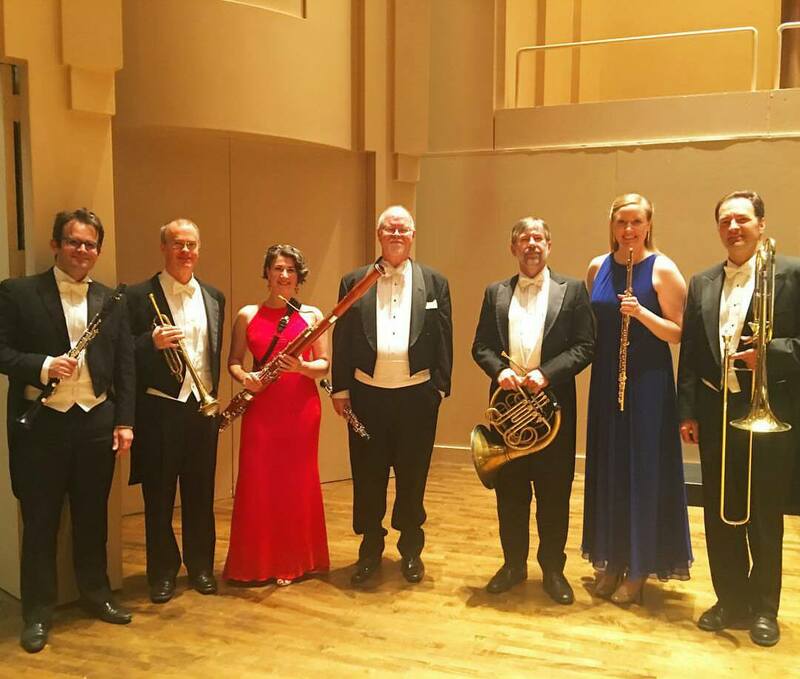 Some audience members might have noticed that the principals who had played in the Martin got the night off… well, everyone except Shields who filled in at second clarinet. Lovely lyrical playing by the entire ensemble created the brook-side setting, including some impeccable bird songs by the woodwinds. The rustic barn dance had a good-nature stomp to it, topped off by sections with lighter footwork. The thunderstorm was bracing and expertly set up the tables for the smooth ride into the final movement. Valerie Muzzolini Gordon, Principal Harpist of the Seattle Symphony and Seattle Opera, delivered sublime performances of concertos by Gabriel Pierné and Claude Debussy with the Vancouver Symphony on Saturday afternoon (November 5) at Skyview Concert Hall. Her playing highlighted an all-French program that featured Debussy’s “Nocturnes” with the women of the Vancouver USA Singers and the Suite No. 2 from Maurice Ravel’s ballet “Daphnis and Chloé.” All of the works were led by the orchestra’s Music Director, Salvador Brotons. Muzzolini Gordon’s interpretation of Pierné’s “Concert Piece for Harp and Orchestra” was a pure delight. Her impeccable playing elicited lovely melodies and a lush, translucent quality that was heavenly. The brief cadenzas and the softest sections of the piece added to the enchantment. The simultaneous video projection of her hands onto the large screens on either side of the stage combined marvelously with the beautiful music to entrance the audience. No one coughed while she played. After intermission, Muzzolini Gordon delivered a magical performance of Debussy’s “Sacred and Profane Dances.” The radiant chords of the sacred portion of the music evoked a divine timelessness. The profane or secular portion had the feathery lightness of a waltz. Superb accompaniment by the orchestral strings allowed Muzzolini Gordon to bring out many dynamic nuances, which made the music immensely enjoyable. Again, the listeners were totally mesmerized by her facile technique, and she drew sustained, enthusiastic applause after the piece ended. In the orchestra’s performance of the Second Suite from Ravel’s “Daphnis and Chloé,” it was easy to imagine the rising of the sun over a pastoral landscape. The fluttering flutes created babbling brooks and birds flying about. The orchestra suggested the outline of a story that depicted the love between the young shepherd Daphnis and the beautiful shepherdess Chloé. The wildness of the general dance that celebrates their love went a bit awry with the oboes, but it did get off the ground and the orchestra succeeded in generating an enchanting swirl. Brotons rearranged the program order, starting the concert with Debussy’s “Nocturnes,” an atmospheric piece with contrasting orchestral colors. In the first movement, “Clouds,” the orchestra created impressions of light and dark shadows that slowly changed. Mysterious rising tones from the English horn, and the expert playing of Principal Flutist Rachel Rencher helped to evoke the changing sky. The second movement, “Festivals,” was peppered with perky woodwinds and a brash brass section. The third, “Sirens” meshed the wafting sonorities of the women of the Vancouver USA Singers with the sounds that ebbed and flowed from the orchestra. Some slippage in the intonation of the violins and cellos in the first movement interfered with the sonic texture, but the spirit of the music still managed to shine. On a somewhat rainy Sunday afternoon (October 30), a sell-out crowd entered the rather obscure premises of the Adrianna Hill Grand Ballroom in downtown Portland. This hall, never mentioned in the printed program, proved to be, if not the best place for this performance, then certainly an interesting one, causing some whom this reviewer spoke with to remark "Well, it's a 'first'!" The Portland Symphonic Choir has performed Sergei Rachmaninoff's All-Night Vigil both at St. Mary's Cathedral and St. Mary's Church in Mount Angel, each church with far better acoustics than we experienced this weekend. 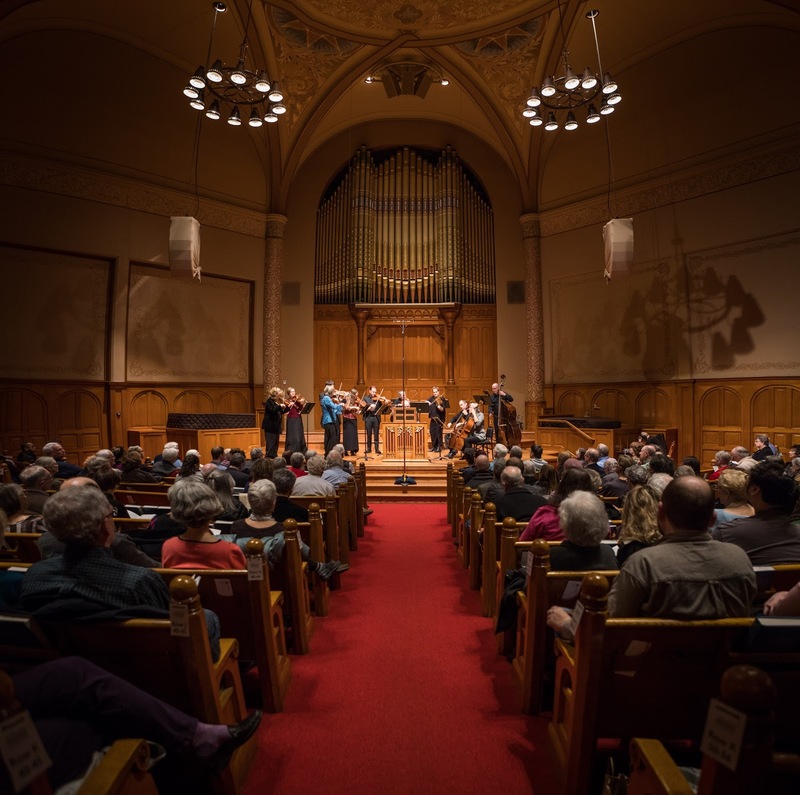 As of last season, the choir is performing in various venues around town, where before St. Mary's Cathedral provided space for most of the choir's concerts. Still, it was a grand performance in that small, tight, non-airy space (windows were opened before Sunday's performance, probably to avoid what had happened the night before when a singer fainted). This reviewer sat in the balcony, dimly lighted and draped with some sort of netting, next to a bar. Surrounding me were concert-goers sipping glasses of wine. Whether or not this is conducive to attentive and active listening to such an important, profoundly moving work of music is up for grabs. One could wax cynical here, but I digress …. To the music itself, then. No effort is spent to realize, as the person next to me did as she was hearing this for the very first time, that this is a choral work that can move one to tears if open to its power to enchant (and I'm not speaking only of the Znammenny, Kiev, or Greek chants!) and move one emotionally. Tears came right away, as I've sung this twice with the choir when I was a member in my previous life. This music simply "hits you squarely" right away with a wonderful "call to worship" (in Reformed parlance): Steven Zopfi, the choir's Artistic Director and author of the full and excellent program notes and analyses, wrote that each invocation of this "call" begins with the marmoreal sound of full, loud chorus. I had to look up marmoreal in a dictionary when I got home: it comes from the Latin for "marble." So, marble-like sound? Yes, and marble floors in the hall would have resounded with that rich sound far better than wood did. This opening movement, as well as much of the whole work, requires the choir's "wall of sound," about which I have written in every review of the choir's performances that I've been privileged to hear and to review. Sadly, I did not perceive that "wall" Sunday afternoon, as much as before when in larger performance venues. Still, the tears came to my eyes and I settled in for the next hour and a half (including an intermission, which I found totally redundant and distracting. I suppose there had to be an interval to allow people have a respite and to guzzle more wine). Guest mezzo-soprano, Ruth Ginell Heald, performed her solos in front of the choir, entering from the side. In the second movement, "Bless the Lord, O My Soul," she was a bit overpowered by the chorus. At times, the final syllable in the "Alleluiyas" was too much, and accuracy in pronunciation and attacks was lacking at times in this movement. Outside noise, through the open windows behind the choir, was distracting as well; but we weren't feeling stuffy either, which was probably a good thing. In the fourth movement "Gladsome Light," the Phos Hilaron at Vespers or Evensong/ Evening Prayer in the Anglican tradition, was gloriously sung. Tenor Daniel Morrill, a member of the choir's tenor section, shone here, as well as his other work in the concert. It is surprising and delighting to read in his biography in the program that he had his first voice lesson six years ago and became a paid staff singer with the choir two years later. He possesses a fine instrument and presence. In this particular movement, he stayed at his place in the choir, moving to the front later on. This movement is one the oldest hymn-texts in Christian liturgy and it was sung to Kiev melody. Rachmaninoff indulged in a departure from "traditional" sounds here, as noted by Zopfi in his notes. The following movement, with the text known to Western Christians as the Nunc Dimmitis, "Lord, now lettest thou thy servant depart in peace" - Simeon's song as the Savior was presented in the Temple. In Old Slavonic it works just as well as the Latin or the English, in fact more authentically, in the Kiev melody. The tenor soloist again provided a touching, lovely ambiance to this canticle. This part ends with the lowest note in the Vespers: a B-flat below low C; it was executed subtly and well by a few basses, not groaned out as is often the case in other performances. I told a bass friend after the performance that it was as though I was seated at the table of a lovely gourmet meal, tasting a subtle, rich morsel! "Rejoice, O Virgin," as Zopfi notes is the quietest of the five numbers that form the Vespers portion of the vigil liturgy. It is a hymn to the Virgin Mary, named in Orthodoxy, Theotokos, or God-Bearer. And it could have been even more quietly than it was. Tenor and alto sectional "solos" were touching, again moving me to tears as they were so carefully and subtly executed. "Six Psalms," the seventh movement, is the Western Gloria in excelsis, or song of the angels at the birth of Jesus. The pealing Slavas (or "Glories") from the choir are sung to harmonies which would have seemed suspiciously modern in 1915, the year of composition, as Zopfi notes in his commentary. If tempted to sleep during the quieter movements, the eighth would awaken the deepest sleeper. Khvalite imya, gospodne. Alliluiya! it begins: "Praise[Laud] ye the name of the Lord, Alleluia!" This movement is part of Matins, a night Office of prayer, anticipating dawn. Here again was Znamenny chant in bold octaves, sung by basses and altos while tenors and sopranos accompany it. The driving rhythms are bold and hold attention, riveting the listener. The Resurrection of Christ from the dead is central to Orthodox Christianity and it is obviously declaimed in the ninth movement, "Blessed Art Thou O Lord." It is a lively narration, using various forces of the full chorus and occasional tenor solo. The mood-change with Zelo rano mironositsy techakhu (Very early came the myrrh-bearing women) is striking and one can almost envision the angel at the tomb saying "The time of your mourning is past; do not lament any more, but go and tell the apostles that he is risen." The wonderful folk-like chant Svyat, syvat, syvat, yesi Gospodi. I nyne, I priso, I vo veki vekov, Amin' (Holy, holy, holy, Lord God Sabaoth …) is sung by the men, joyfully and strongly. Men and women alternate in verses of the tenth movement, a hymn in praise of the resurrection. Unison and harmonic singing alternate as well; it ends in a blast of sound with a coda that is to die for, Smertiyu smert' razrushi (Conquering death by death)! This is followed by what the Western Church calls Magnificat (My soul magnifies the Lord), with basses singing the melody while the scherzo-like refrains are sung by the sopranos, altos and tenors. Rachmaninoff carefully harmonized each refrain differently. There were some small intonation problems here, maybe caused by fatigue or over-concentration. The longest and most complex movement in the liturgy followed, Slava v vyshnikh Bogu (Glory be to God on high), the Western Gloria in excelsis with added prayers at is end. There is a marvelous segue from the Gloria to the prayers that contain portions of what Western Christians know as portions of the Te Deum (We praise Thee, O God), "Let thy merciful kindness, O Lord, be upon us, as our trust is in Thee"). Fragments of Psalms 119 and 90 close this movement, followed by the familiar Trisagion (Holy God, Holy and Mighty, Holy and Immortal One, have mercy on us) with a Gloria Patri. Nothing but pure, unadulterated praise here! Three hymns close out the work, the first two dealing with the resurrection and the last with hymning the Virgin. The fourteenth movement is so serene that the listener craves more of it, and the whole work closes with a jolly Greek chant melody, a hymn to the Theotokos, the God-Bearer, "Heaven-elected chieftain of triumphant hosts … thou who bearest God!" This movement really belonged to the sopranos, who shone like stars, drawing this heavenly work to its close. Even with a few "wobbly" intonations, quickly righted, the general discomfort in that setting, the wine-swilling, and the not-so-present-as-before Wall of Sound, I gladly stood with the rest of the audience in applause and bravi, in joyful acclamation and thanksgiving for the choir's performance. Much goes into performing this work: careful pronunciation of the Old Slavonic liturgical language - not pronounced like modern Russian; attention to so many nuances in vocal technique; and the peculiar exposure of a non-accompanied lengthy piece of music. Gleefully greeting some dear and old friends who persevere in the choir directed by one of the best choral directors, Steven Zopfi, my afternoon drew to a brilliant close. What a joy it is to listen to PSC! And you can, over and over, by purchasing the CD that the choir produced in 2008!